With thanks to Orbit Books for the following new arrivals: The Stone Sky by N.K. Jemisin is the third and final volume of The Broken Earth series which I’ve been enjoying so far, but I think how I feel about this trilogy as a whole will depend highly on how this one turns out. 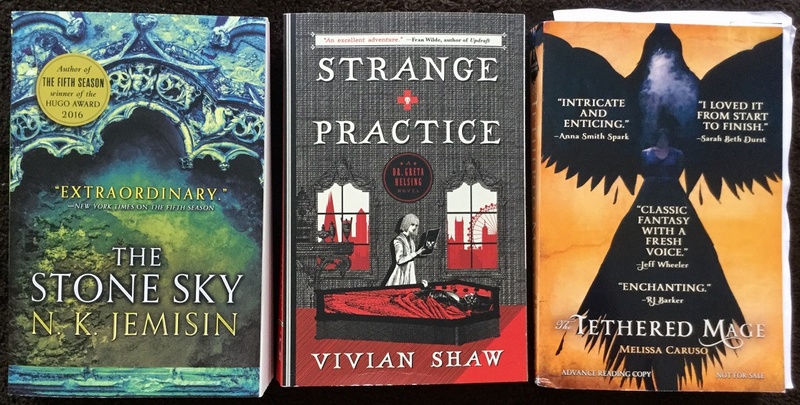 I’m also looking forward to Strange Practice by Vivian Shaw, a fun looking debut featuring a cool mash-up of urban fantasy and classic gothic literature elements. Hoping I can start this soon! And finally I also received an ARC of The Tethered Mage by Melissa Caruso, the first volume of a new epic fantasy series coming out this fall. I’m really curious about this one. Thanks also to Pyr for sending me this finished copy of A Kiss Before Doomsday by Laurence MacNaughton! In case you haven’t seen my review for the book yet, check it out! From the amazing Tor team, I also received an ARC of Last Chance by Gregg Hurwitz, the sequel to last year’s The Rains. 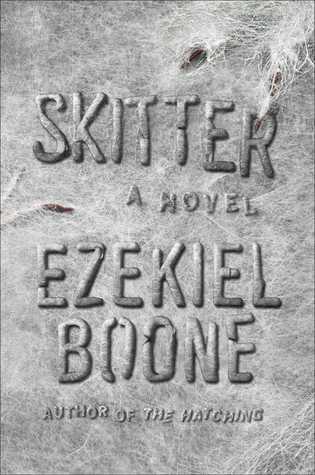 It’s a zombie series with a pretty absurd premise, but the first book was fun so I might give the second a try. And speaking of sequels, Communication Failure by Joe Zieja is the follow up to Mechanical Failure, a comedic sci-fi adventure in space. With thanks to the author and Saga Press for the ARC. Earlier this month I also received a finished copy of Halls of Law by V.M. Escalada from the kind folks at DAW Books. 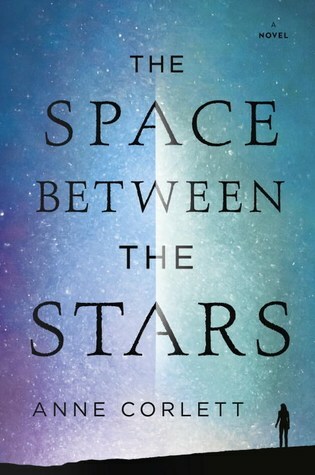 And late last week, literally just a few days after my request on NetGalley was accepted for Artemis by Andy Weir, I actually received a surprise ARC in the mail! I always love having a physical copy to curl up with though, thanks Crown Books! Finally, you might recall from one of my book hauls last month where I received an unsolicited ARC to the sequel of The Supernaturals by David L. Golemon. I had lamented the fact I haven’t read the first book, but to my joy, the publisher actually came to my rescue and sent me a copy. Big thanks to Thomas Dunne Books! 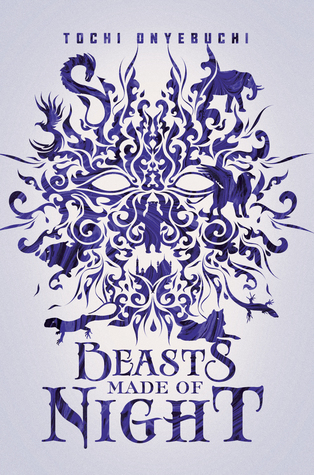 After a couple months of nothing that interested me, First to Read finally got me to part with my points for Nyxia by Scott Reintgen and Beasts Made of Night by Tochi Onyebuchi, two highly anticipated YA fall releases that I had on my radar. 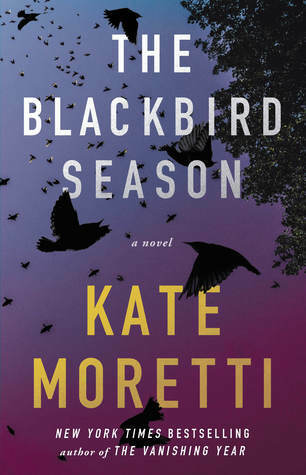 I’ve also been on a mystery-thriller kick lately, which is why I just couldn’t resist when I was sent an invitation to read The Blackbird Season by Kate Moretti. The book’s description sounds amazing and it really piqued my interest. 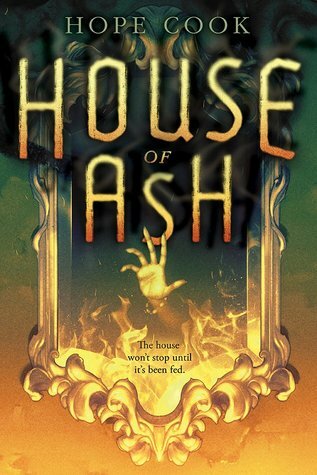 From NetGalley I also requested House of Ash by Hope Cook after learning about it from another blogger, because I’m always on the lookout for good YA Horror. My thanks to all the publishers. 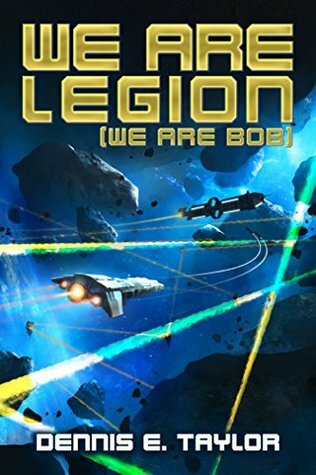 And if you’re a fan of sci-fi and/or audiobooks, then you’ve also probably heard about the breakout hit We Are Legion (We Are Bob) by Dennis E. Taylor. 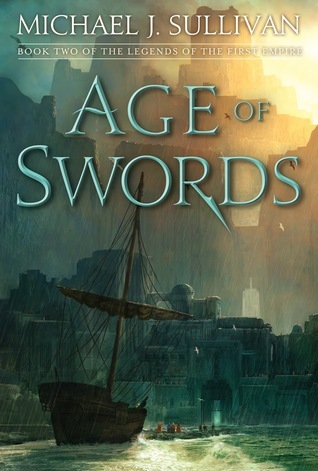 With the third book on the horizon, I was recently offered the full trilogy in ebook format for review. Pretty much everyone I know who has read/listened to this series has been raving about it, so I’m really excited to check it out. With thanks to the Ethan Ellenberg Literary Agency. 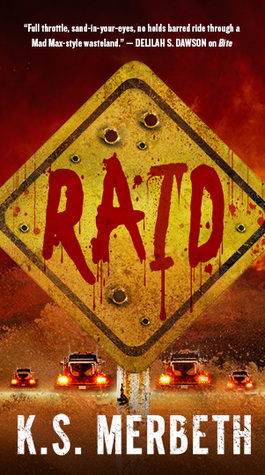 In the audio stack: Raid by K.S. Merbeth is a companion novel to the post-apocalyptic canabaliscious thriller Bite that I really enjoyed last year, with thanks to Hachette Audio. 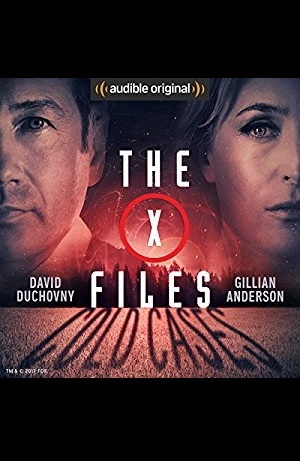 Next up, it’s media tie-ins galore, starting with The X-Files: Cold Cases, a full-cast audio-drama from Audible Studios based on the graphic novels by Joe Harris – and yes, David Duchovny and Gillian Anderson as well as many cast members from the original show are involved with the narration! 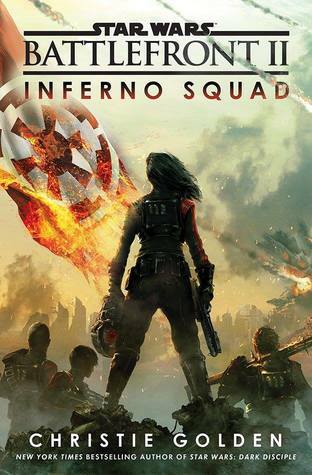 Then it’s Star Wars time with Battlefront II: Inferno Squad by Christie Golden, a novel that takes place in the aftermath of Rogue One. It also serves as a prequel to the upcoming video game Star Wars: Battlefront II, which I’ll be playing the crap out of come this November, if my experience with the first game is any indication. 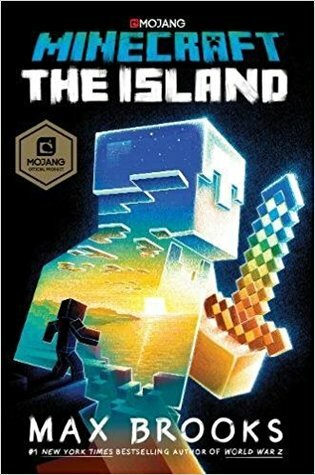 Last but not least, Minecraft: The Island by Max Brooks is the first official Minecraft novel written by none other than the author who brought us World War Z. This audiobook actually has two editions, one narrated by the funny and talented Jack Black and the other narrated by Samira Wiley of Orange is the New Black fame (I chose the Jack Black version, in case anyone’s curious). My thanks to Random House Audio for feeding my geek. Review roundup time! 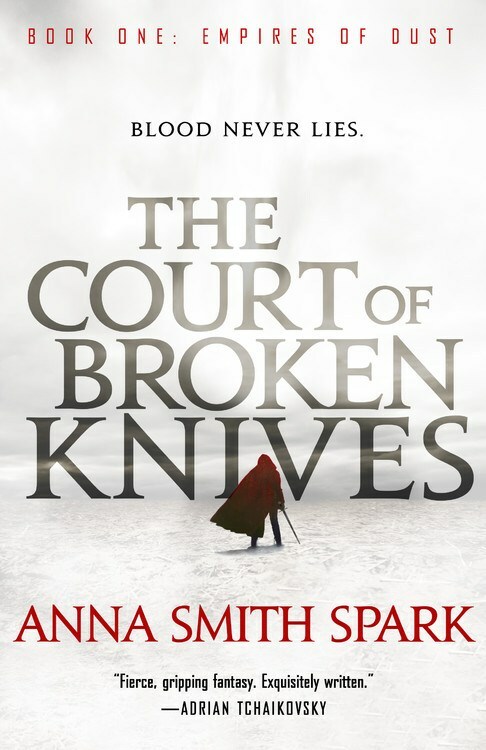 As you know, I don’t give 5 stars lightly (in fact, I didn’t even have my first 5-star read this year until March), which is why it’s so incredible that these last two weeks saw me post not one, not two, but THREE 5-star reviews. 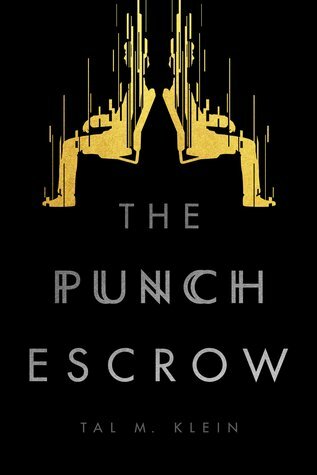 It was tough choosing which book to highlight, but I’m going to have to go with The Punch Escrow, which is currently vying for the top spot in my list of best books read in 2017 so far. Here’s what I’ve “unstacked” from the TBR since the last update. Reviews for a couple of these are already up, and the rest are coming soon! I’m really curious about it myself. It was unsolicited so it wasn’t high priority, but the more I look at the description the more I’m tempted to bump it up. Punch Escrow has rocketed up on my tbr list. Your review totally sold me on it. It’s something in their nighttime formula. I’ve taken regular Nyquil before with no side effects, but the one that’s supposed to knock me out will actually do the opposite and make me feel all trippy…and not in the good way either! OOoh nice! Totally new to me reads! I hope you enjoy each and every one of them! Thanks! I hope you enjoy your reads too! The Vivian Shaw book had me reaching for a sample to see what it was like but I haven’t looked at it yet. I need to get a few samples looked at tonight before my sampling post goes up tomorrow! Have a good reading week! 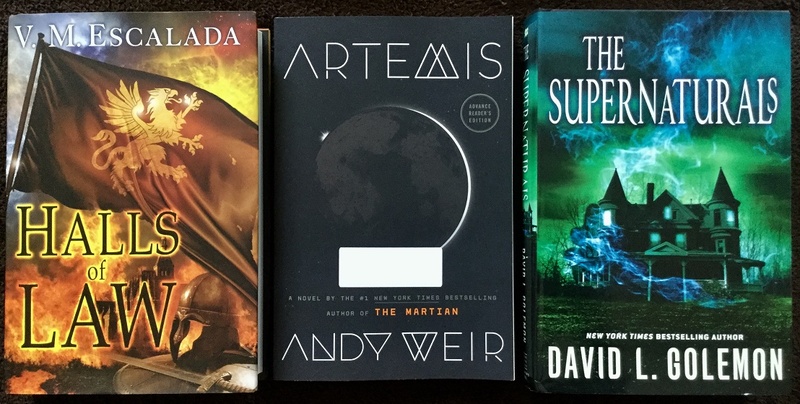 I was lucky enough to be granted “Artemis” from NetGalley, and might be starting it in the next couple of days: even though my experience with “The Martian” did not end well, I was curious about the change of scenery and wanted to give this author another chance. I can’t believe you got the physical copy for Artemis!! I hope you enjoy that book and great set of books you got! oh that’s great! so many books for you! happy reading! Thanks! I hope you enjoy your new books too! Tethered Mage is one I’ll have to look at, and Last Chance is on my list after reading The Rains. 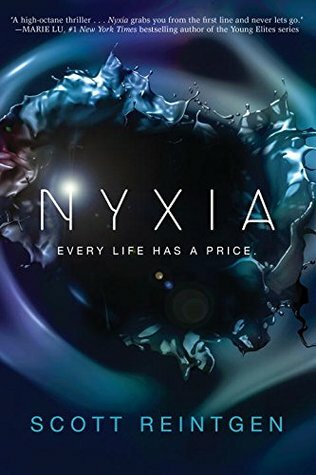 Nyxia is another one… and Stillhouse Lake looks like a great thriller to me. Stillhouse Lake was excellent. A fun little thriller, I couldn’t put it down! I’ve got to read more of Artemis — I started it, but didn’t really get hooked. Such a great haul, as usual. Enjoy! Crossing my fingers that it picks up for you! It sounds really different that The Martian, so for me it can go either way too, I think. I hope to be starting Inferno Squad soon, so I’ll let you know! Nice haul!!! Can’t wait to read The Tethered Mage and some of those YA books look awesome! Agreed, The Tethered Mage looks fascinating! I can’t wait to try it. Nice haul! The Supernaturals definitely catches my eye . . .
Yeah, I somehow missed it when it released last year, and getting the ARC of the sequel earlier this month put the series on my radar. I’m curious to see what it’s all about. I’m totally jealous of your ARC of Artemis! I’m just about to finish Strange Practice, and I’m a little torn. I’m not sure it’s quite my thing, but I hope you read it, I’m curious to see what you think. Oh no that makes me nervous now, because I think our tastes are pretty similar when it comes to these urban fantasy/literature mash-up types of books! I’ll get to it ASAP, and I can’t wait to compare our notes. My review will be up sometime this week. I have one more chapter to go and that will be the determining factor! Crossing my fingers that the final chapter will help it swing towards the positive! Oh huh, Minecraft novels now? It’s crazy to think how far that game has come. Me too! Though I’ll try my best to get to it before release! Eeep! That print copy of Artemis is a great surprise. 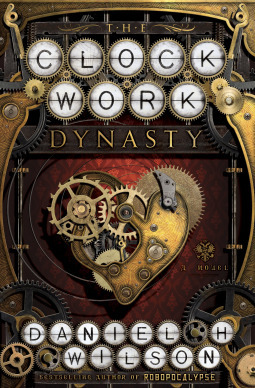 I said I wasn’t going to look up what it was about, but as I was shelving it on Goodreads this week, I saw the gist of it. Long story short – I couldn’t help but start reading it already. Haha. I would love to have a print copy to curl up with today. The blurb of Artemis does sound spectacular, doesn’t it? I love heist stories, and the fact that it takes place on the moon is just the icing on the cake. I can’t wait to dive into it either! I love these book haul posts – you’ve got such a lot to look forward to. 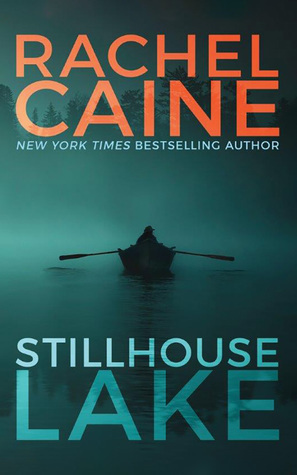 I’m looking forward to Artemis and I’ve also got the Stillhouse Lake which I’m looking forward to. I like the sound of the Blackbird Season – I shall have to go and check that out. I’m scared about The Stone Sky. I’m not kidding. I have an idea of how it could play out, and how things might end… and it makes me all kinds of squeamish nervous-excited-terrified. In a good way, but… GAH. I hope you’re able to enjoy it despite whatever happens. Also, yay for Artemis! I might want to pick it up until next year, just because I’ve already pre-ordered a slew of books for the fall, and I’m still not yet caught up on 2017 books from earlier this year. But I’ll be looking forward to your thoughts on that one, too! I do remember that, yeah… Well, the only thing we can do is wait and see what happens, right? Yep! I hope to start the book soon! I ran into Strange Practice somewhere else…not a blog… and thought it looked intriguing! I’ll be interested to see what you think of it. Also, Mulder and Scully! I am curious and somewhat trepidatious about these X Files tie ins. 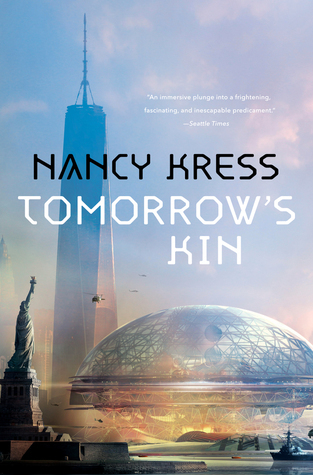 Wow, The Stone Sky has a beautiful cover. I have a need, based on the cover alone. O_O I see some YA books in there! Look at you! I hope you enjoy them, and all of your new books. You always have such epic hauls – and they are always so bad for my TBR! I’ve been looking for a reasonable used copy of The Supernaturals because I’m wanting to read the second one as well. I bet we start seeing Artemis EVERYWHERE! I think you’re right, we’ll probably see Artemis everywhere! He won a lot of fans with The Martian 🙂 I hope his success will continue with his new novel! I’m so jealous that you already have a copy of COMMUNICATION FAILURE. I am *dying* to read that one. Also, THE TETHERED MAGE is absolutely and utterly fantastic. It’s so fantastic. Highly recommend. I know, it was one of the funniest books I read last year and I’m in the mood for that kind of humor again. I can’t wait to read your reviews of either!